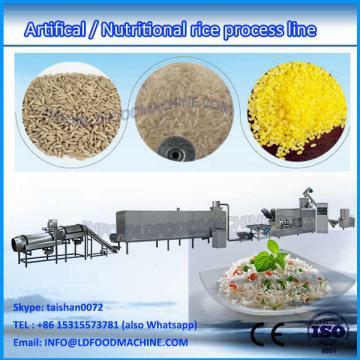 Nutritional rice processing machinery, The material is extruded into rice shape by the twin-screw extruder, and dried in a rotary dryer to needed moisture content. The extruding technique makes it possible to strengthen and solidify the micronutrient in the rice. 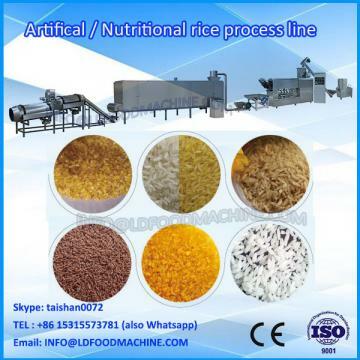 This artificial rice can be mixed with natural rice prior to Cook as usual. 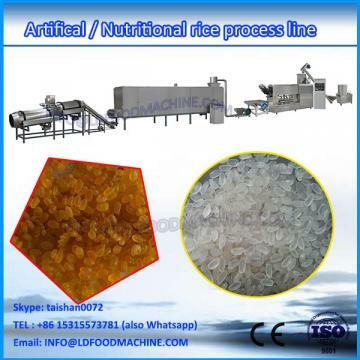 When Cook is finished, its grains are not broken and there is no difference between the artificial rice and the natural one in viscosity, elastiCity and taste.